The venue was the Knights of Columbus hall in West Allis, WI. Tonight’s program drew an all-time-high audience of at least 180 people, a 50% increase over my previous all-time-high turnout of 120. What a thrilling surprise! Tonight’s show was actually the second performance of Lights of the Lakes at Newcastle Place, a large senior community in Mequon. 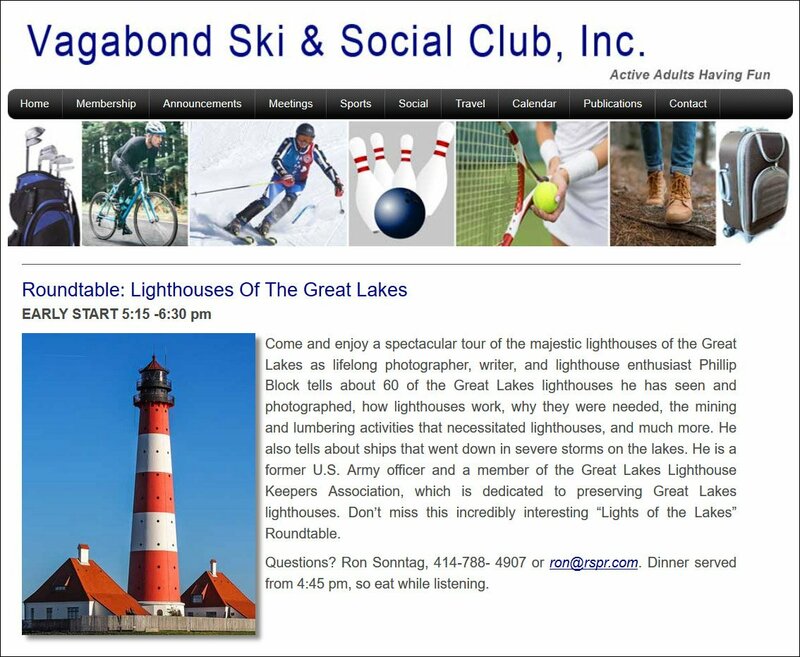 I was invited back after a previous program four years ago. Same venue, different audience. 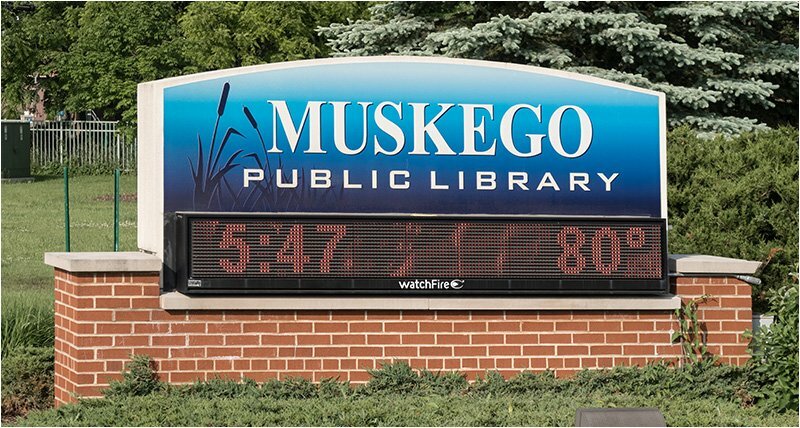 On a summery June afternoon, I headed to the southwest Milwaukee suburb of Muskego, WI to present Lights of the Lakes for the third time this month. 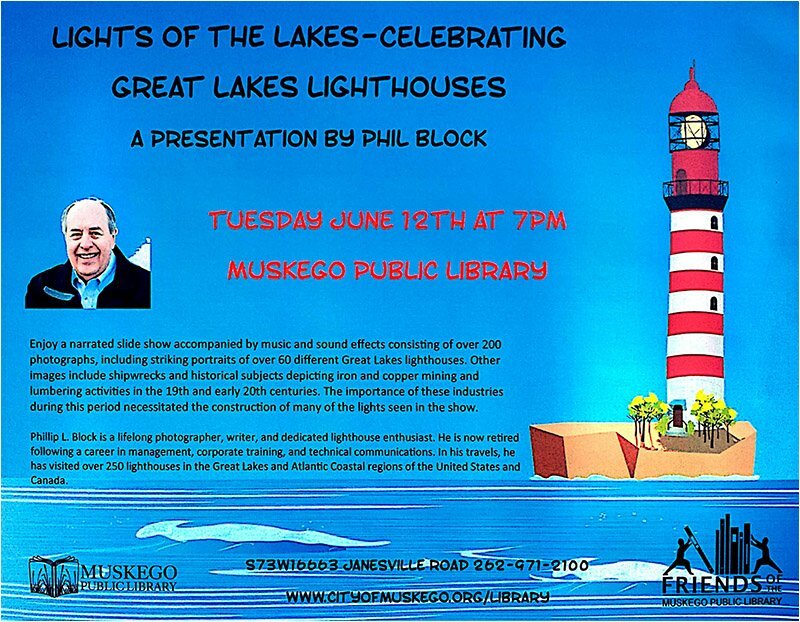 Prior to the show, the Friends of the Muskego Library prepared and published the flyer below to promote the show. 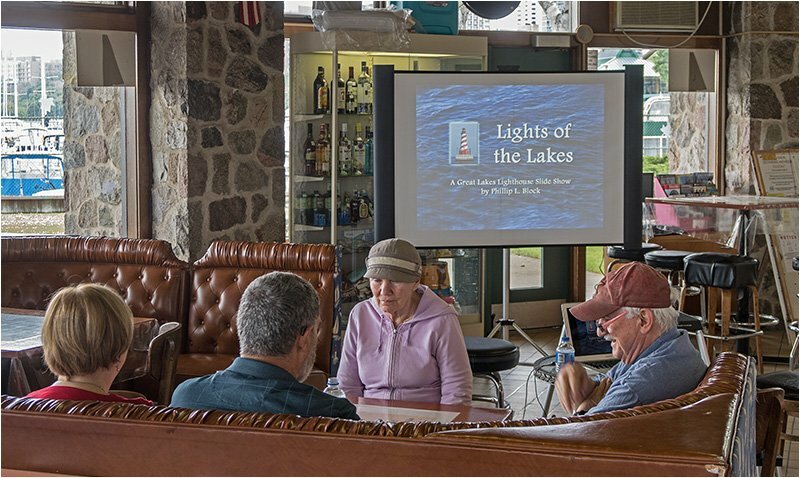 The final Lights of the Lakes program in June was presented at Pitch’s Express, the snack bar located inside the Roundhouse at McKinley Marina in Milwaukee. 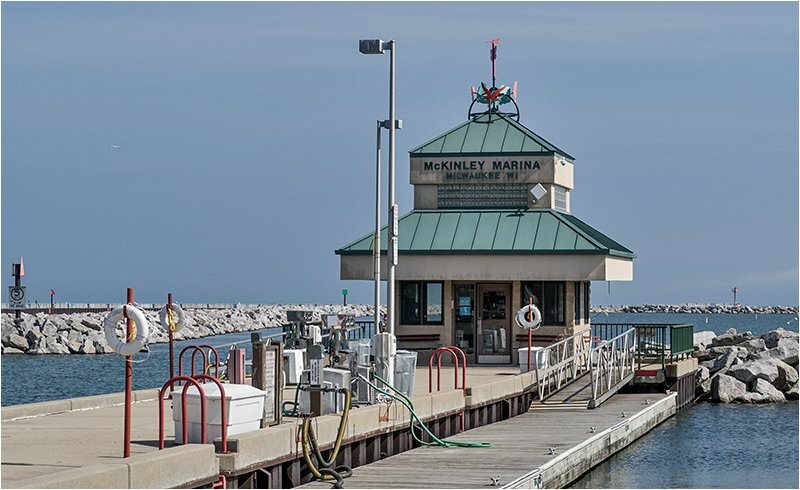 The Roundhouse is a convenience/ship’s store and also serves as the nerve center of a busy commercial marina serving Lake Michigan mariners. 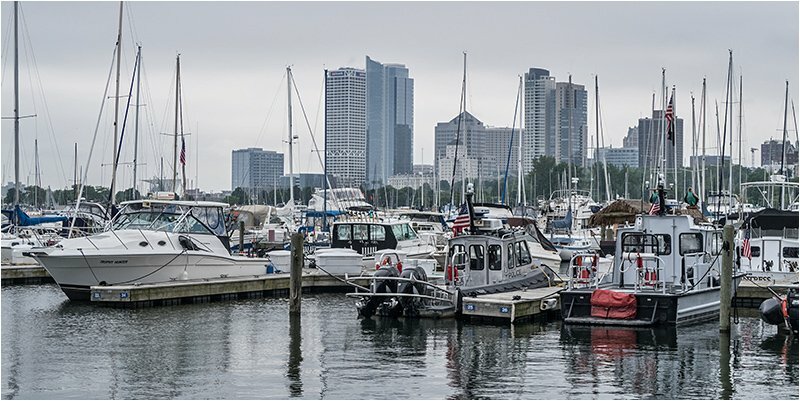 It was a great location for a lighthouse show! 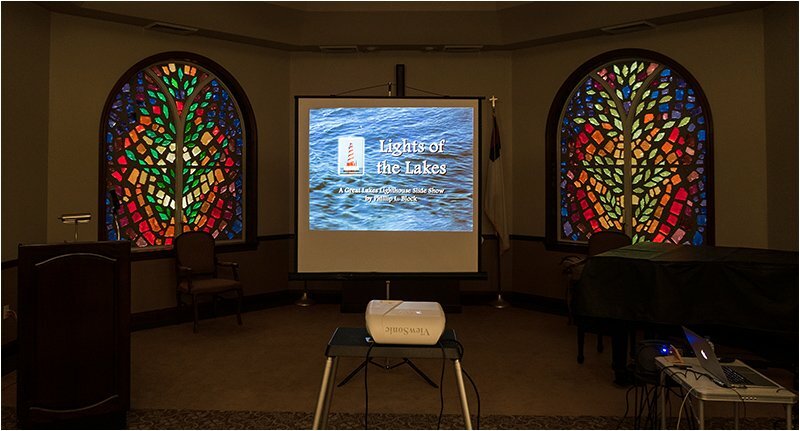 Today’s Lights of the Lakes program was sponsored by the Ovation Jewish Home of Milwaukee, as part of their monthly Memory Cafe series. 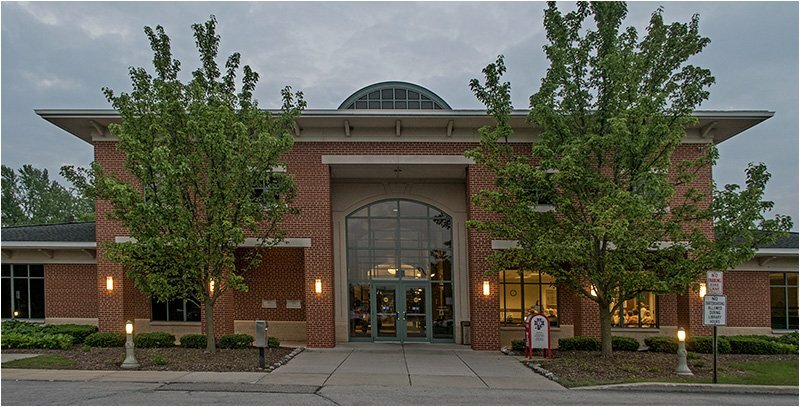 Memory Cafes are places where persons with MCI (Mild Cognitive Impairment), early-stage Alzheimer’s, or a related dementia can go with their care partners to socialize and have fun with other people going through similar things. There is no real agenda or stated purpose except to enjoy each other’s company and in this case, enjoy some entertainment. Cafes provide a time where participants do not need to focus on their cognitive impairment, but have a great time connecting with each other as a family or creating new friendships. Today’s audience was comprised of about ten seniors. The physical equipment setup to deliver the show was a little unusual, but did not detract from the enjoyment of the participants.